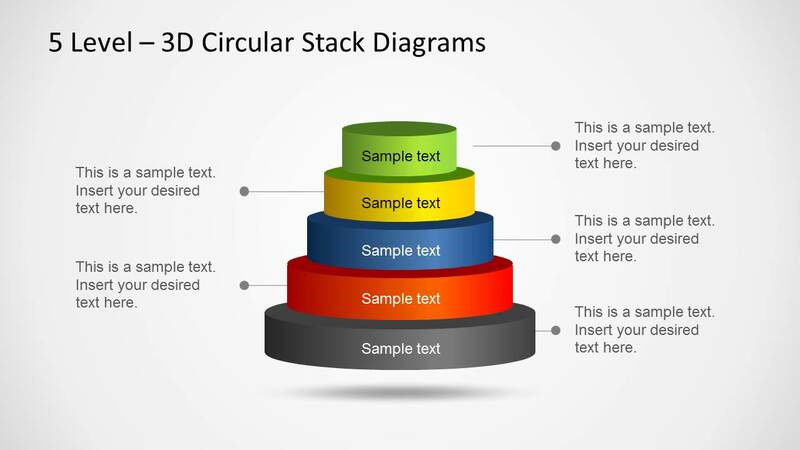 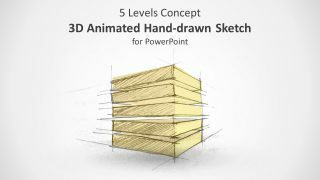 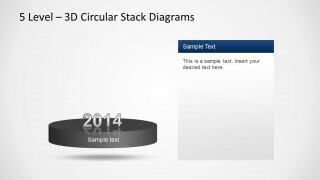 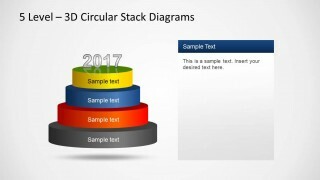 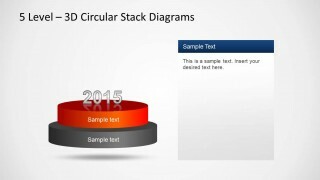 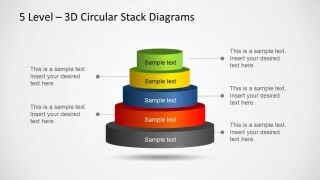 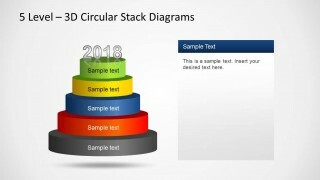 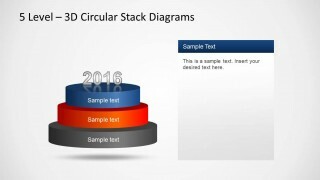 3D Circular Stack Diagram for PowerPoint with 5 Levels is a nice stacked diagram design with five levels that you can use to represent a business idea or concept. 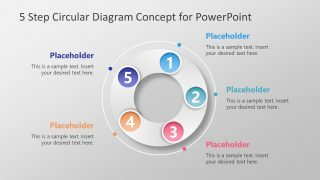 This is among our series of Stack Diagram Templates for PowerPoint, which come in different varieties, such as three, four and five level diagram templates. 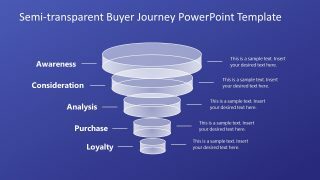 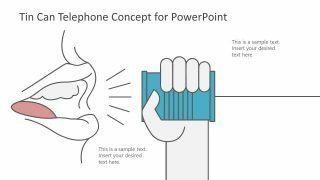 This template can be used for a variety of presentation topics and can help you construct custom diagrams with your own or standard business concepts.